In any work environment, as noise and activity levels increase, the risk of danger also increases. In a busy warehouse environment, filled with conveyors, forklifts, rack systems and other moving parts and multiple shifts running at high volumes, the danger of serious workplace injury or even fatality is a very real possibility. From distracted workers to defective equipment to deadly premises violations, employee injuries are distressingly common, and not just of the slip-and-fall variety. In 2014, approximately 3 million employee injuries were reported by private industry employers to the U.S. Bureau of Labor Statistics. These injuries have a staggering financial impact upon the operations and facilities where the injury takes place. According to the 2016 Liberty Mutual Workplace Safety Index, the most disabling, nonfatal workplace injuries amounted to nearly $62 billion in direct U.S. workers compensation costs. These costs can easily cripple an operation. When it comes to the material handling industry, back injuries are one of the most common issues reported by facilities. Per the Bureau of Labor Statistics, back injuries accounted for 19.6 percent of 905,690 injuries referenced in the private sector, higher than the hand, which is 13.4 percent and shoulder, which is 7.5 percent. The total time lost to work-related injuries in 2013 was 60 million days and another 35 million years of productive time was lost the same year because of permanently disabling injuries that had occurred in prior years. Ergonomics is the science of designing the job to fit the worker instead of physically forcing the worker’s body to fit the job. It lessens muscle fatigue, increases productivity, and reduces the number and severity of work-related musculoskeletal disorders. 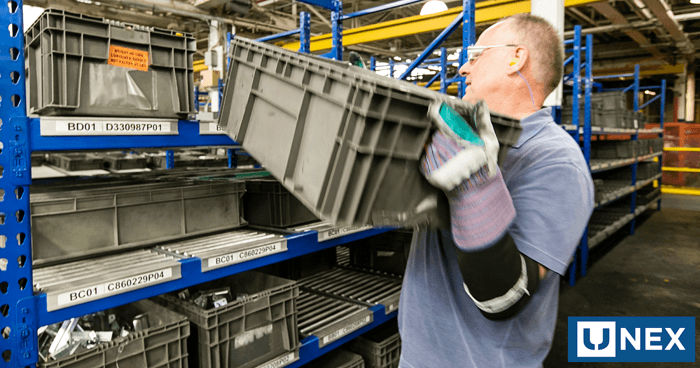 Eliminate unnecessary manual lifts by incorporating simple lifts, using carts and conveyors or implementing carton flow systems to move boxes or items. 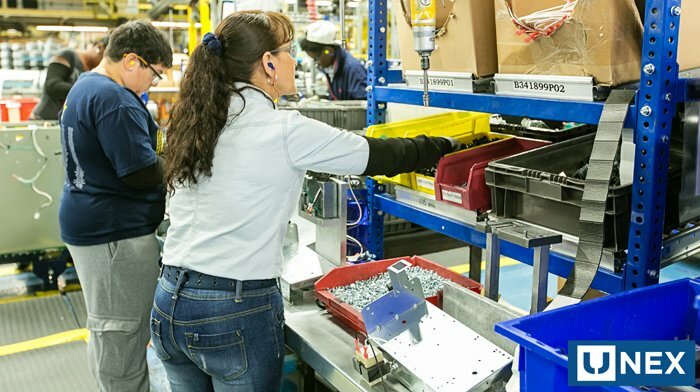 Carton and gravity flow systems install easily into existing pallet racks, helping to create ergonomic workstations ideal for picking, assembly, or line side storage. When lifting items, get a secure grip using both hands, if possible. Keep the load in the “golden zone,” which is above the knees, below the shoulders and close to the body. Use the legs to lift the load; not the back or shoulders. Don’t twist body; instead step to one side to turn. Provide management support, with a strong commitment by management being critical to the overall success of the process. Involve workers in hazard assessments, solution development, and also implementation. Provide training so that workers are aware of ergonomics’ benefits and will know why is it important to report early symptoms of MSDs. Identify ergonomic problems in the workplace before they result in MSDs. Encourage early reporting of symptoms, which is important for preventing serious injuries and lost-time claims. Implement solutions to control the hazards. Evaluate your progress periodically to ensure continuous improvement and long-term success. The focus on ergonomics doesn’t just help prevent injury, it maximizes employee output and productivity. UNEX solutions are built with worker safety in mind, allowing your operation to run smoothly while increasing efficiency. From Flow Cell to Span-Track to Pick Plank, UNEX solutions drastically reduce ergonomic hazards that can plague your operation with injuries.